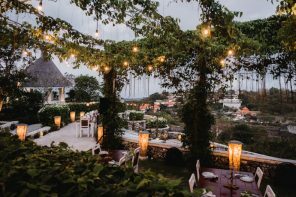 Where To Stay In Jimbaran? Let’s Get Oriented. Jimbaran runs along the coast and continues a little inland. Of course, the closer you can stay to the beach, the better as most things in Jimbaran are centred around the main road and the beach. The other thing to consider is what end/section of the beach to stay in. The different areas have a different feel to them and are also closer/further away from certain things. The south end of the beach is my personal favourite. It’s a nice area of the beach, has my favourite seafood restaurants on the beach, a beautiful outlook over the peninsula, and isn’t too far from some nice restaurants. The middle section of the beach has a more local feel, also close to some nice restaurants and the traditional markets. The north section of the beach is close to the seafood markets, and just south of the airport. 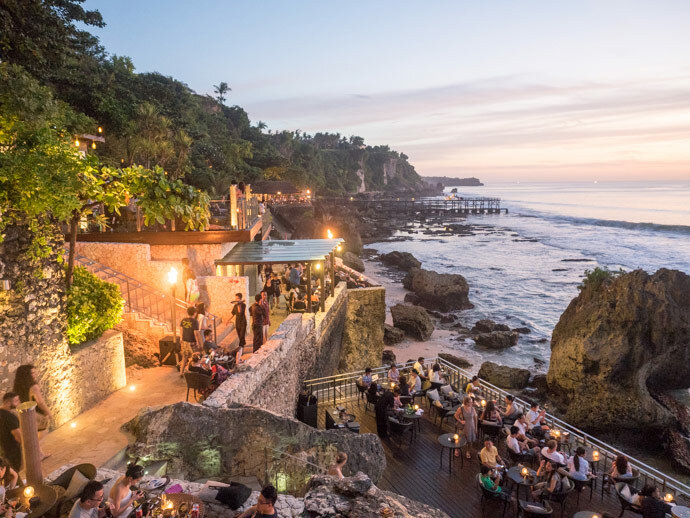 Personally, I think this area is probably that little bit too far away from most other things in Jimbaran, and has a less relaxing feel about it. The only other thing to look out for when booking accommodation in Jimbaran, is how far inland the accommodation is. 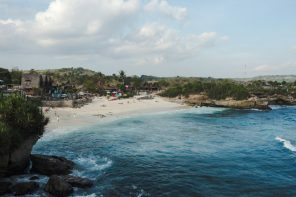 The charm of Jimbaran really is around the beach area’s, so although accommodation much further inland can be classified as Jimbaran, I’d tend to stick to areas near the beach and main road (Jl. Raya Uluwatu). 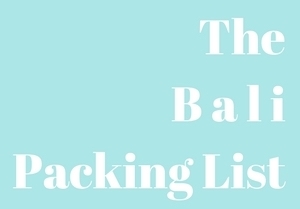 Booking.com is one of our favourite ways to book Jimbaran accommodation. Simple to use and also has a great app. 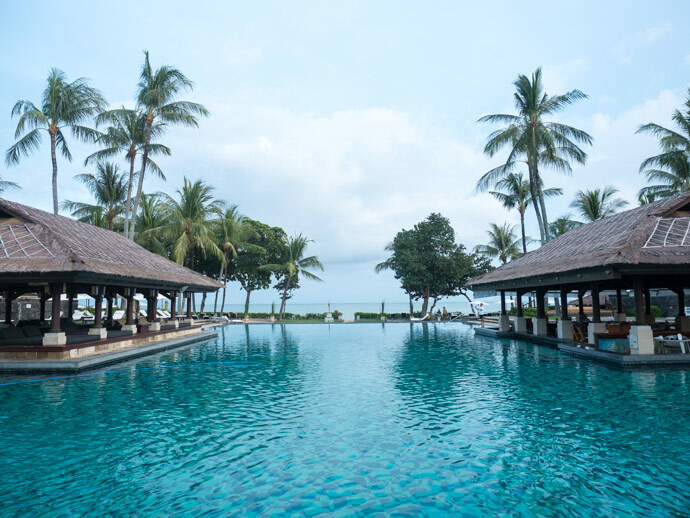 InterContinental Bali is a sprawling resort with a traditional Balinese design. We have stayed here a few times and love the green grounds and gardens, and beautiful pool area. There’s so much attention to detail, from the fresh orchids that you see all over the resort, to the beautiful Balinese touches. Read more about our stay here. 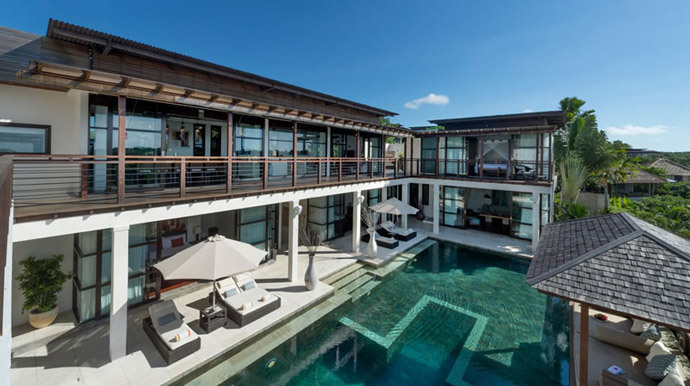 Imagine having your own private villa in one of the most beautiful resorts in Jimbaran. Well, that’s exactly what you’ll get at The Villas at Ayana, absolute luxury. 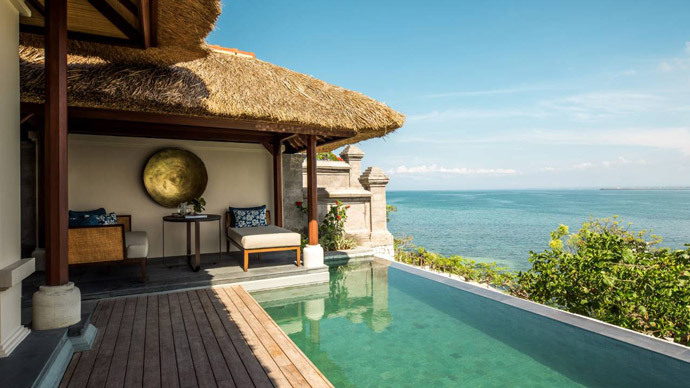 Four Seasons Resort Bali has pool villas planted along the hillside peninsula overlooking Jimbaran Bay. They also have a delicious restaurant and beach club, Sundara. 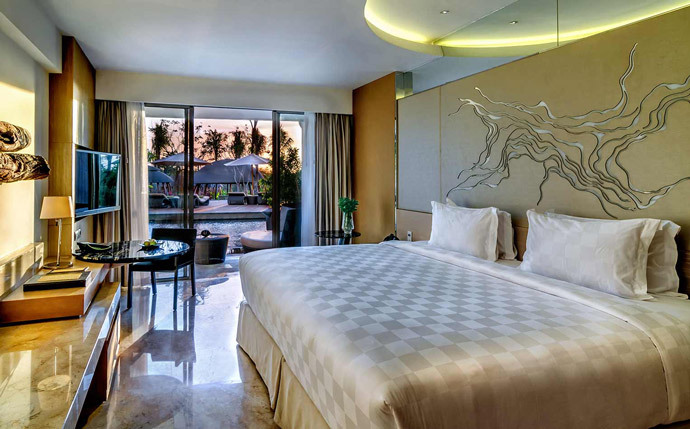 Kayumanis Jimbaran has beautifully designed private pool villas. It’s close to the beach and comes well reviewed. Ayana Resort is an iconic resort in Bali. People are often drawn here by their unique waterfront/cliff-front bar for sunset, but this is only the start of the Ayana experience. 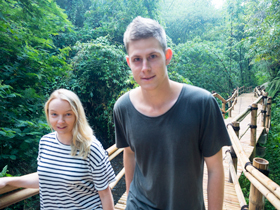 Rimba Jimbaran is the modern younger brother of Ayana. Based in the same area, it has excellent facilities and comes well reviewed. Le Meridien is situated just behind the beach and seafood restaurants, giving you easy access to both. 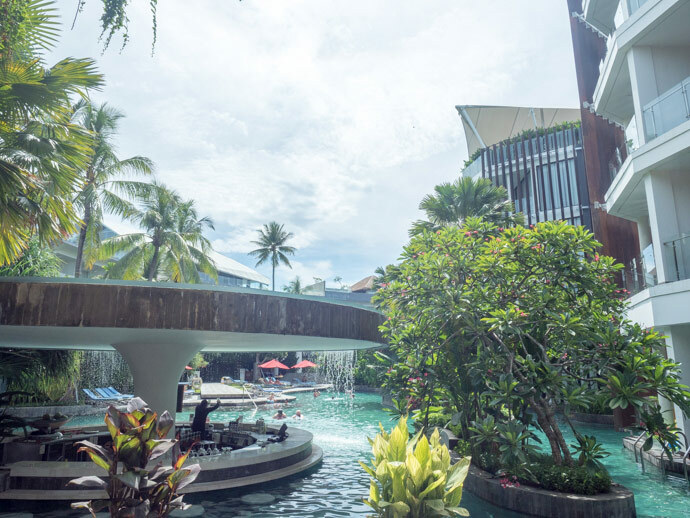 The design of the hotel is modern and unique, centred around the pool area. 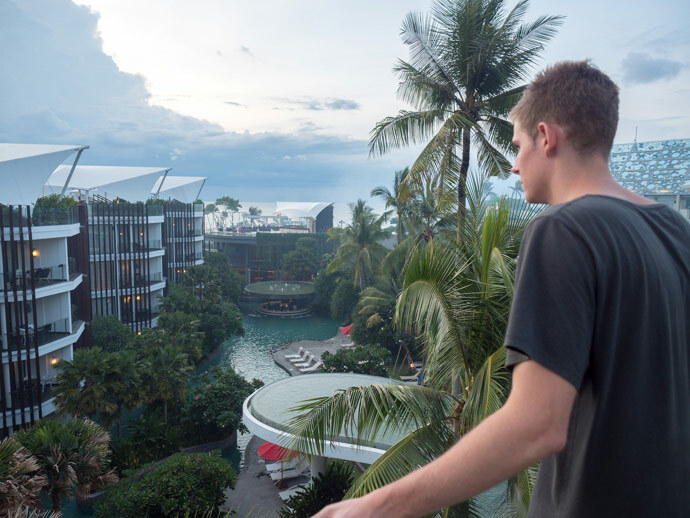 We loved our stay here, with highlights being the pool area, room design and location. Read more about our stay here. 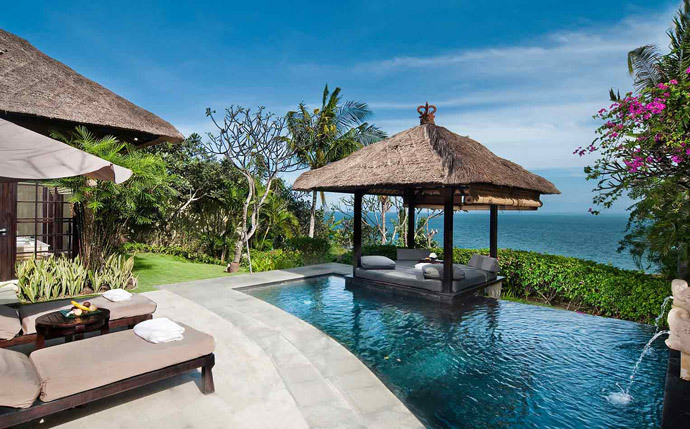 Villa Jamalu is a 4 bedroom villa, perfect for a Bali getaway with friends and family. It’s in a great location, spacious and has a beautiful design. 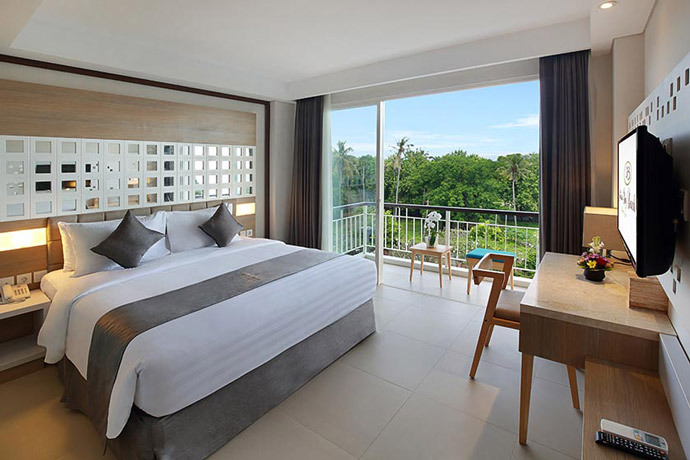 Jimbaran Bay Beach Resort and Spa offers great value for money. Located near the beach with direct access, it comes well reviewed. 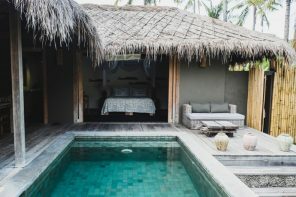 We will be continually updating this post with any new places we stay and love, to make sure we are recommending the best Jimbaran Accommodation. 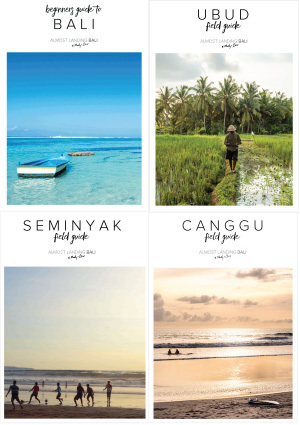 Once you’ve found the perfect place to stay in Jimbaran, take a look at our Jimbaran Field Guide for some more inspiration. 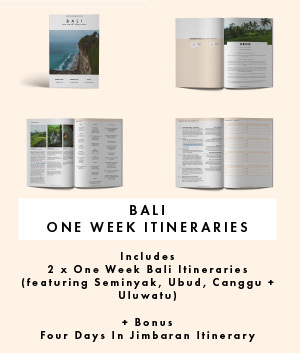 Our Jimbaran Field Guide has everything you need to hit the ground running, including our favourite food, culture, shops, things to see + do and day trips. 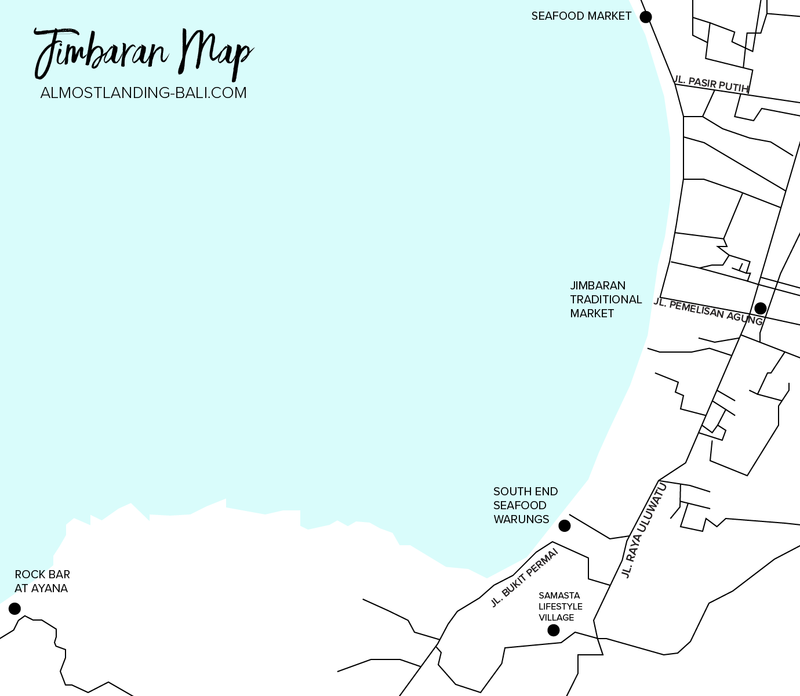 We’ve also put all of our favourites onto our own Jimbaran Map so you can literally just take it out with you and no research or planning is required.